Numerous colleges across the country feature multiple campuses. Many institutions support these locations with staff who split time among the different sites. Early in 2016, I took on a new role where I’d share my focus with a second location on a one-day-per-week basis. These locations are about a 35 minute drive apart. 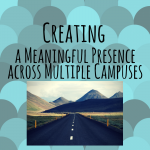 Most students prefer to access student resources from their primary campus location. My transition into this new position served as an opportunity to test out new approaches to best serve our students. At my primary location, I am part of a staff of several part-time and full-time career specialists. At the second location, I serve as the primary contact for career services. One of my colleagues is present on a separate day each week to work with students regarding internships. After experiencing my first few months in this role on multiple campuses, I quickly developed two main goals for myself. First, I wanted to increase student awareness of our services. In order to achieve this, I offered to serve as a guest lecturer for a FYE course that we require all first-time college students to take. A required component of this course is a lesson on career exploration. So, my offers to instruct were well received. If we continually follow through on this partnership, we will eventually get to a point where we introduce every first-time college student to career services in a meaningful way. We were very successful in this initiative during this Fall and were able to meet with nearly every section of this course. Pushes for student awareness also came in the form of having informational tables at several large-scale campus events. We collaborated with the Office of Student Life and Leadership Development Office on their leadership programming. Our office’s social media features campus-specific information. We also utilize a popular campus-specific hashtag in our social media posts. Soon, I found that my calendar was filling up with back-to-back appointments weeks in advance. So my next goal was to identify alternative ways to assist students as quickly and efficiently as possible. Although I’d already considered implementing an online version of the professional development program, I now had a stronger motivation to see it through. This new format would allow for students at this campus to complete program steps quickly and at their own convenience. They wouldn’t have to wait for scheduled appointments or workshops. I also began utilizing alternative venues for appointments, including phone and web-conferencing. This way, I wouldn’t have to limit our appointments to just when I was at their campus location. My goals for strengthening our campus presence at this location are still a work in progress. 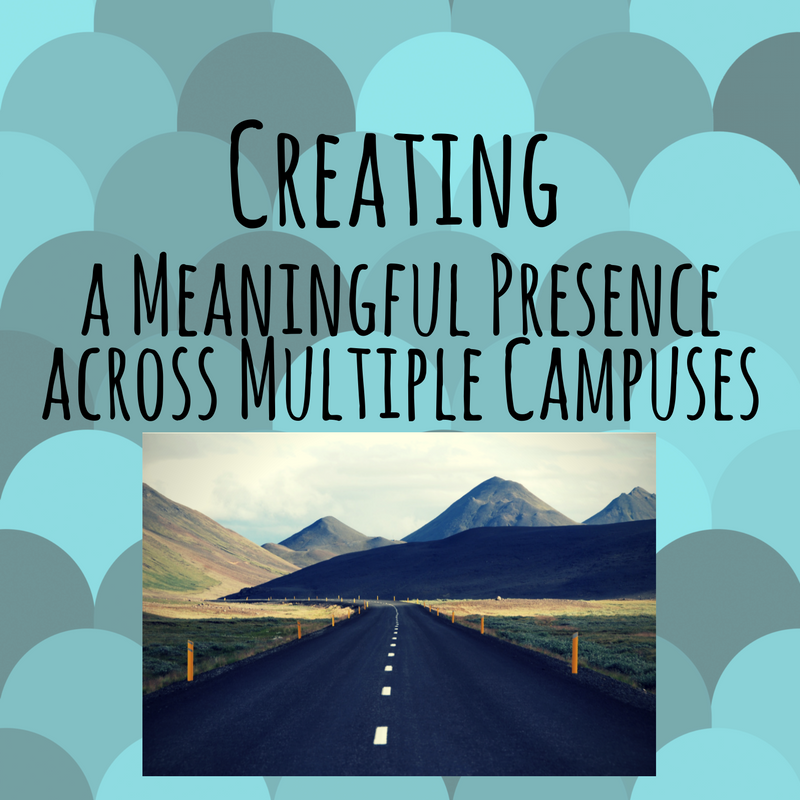 As time goes on, I’m sure I’ll identify other challenges I want to overcome in balancing multiple campuses. That being said, I’ll work to constantly remember to keep accessibility of services at the forefront of my decisions. Christina Turissini is a Career Development Specialist at Northampton Community College in Bethlehem, PA. She is a proud Kutztown University alumna (times 2! ), having completed both her M.Ed. in Student Affairs in Higher Education and B.S. in Clinical Psychology from KU. She was recently elected to the Directorate Body of ACPA’s (College Student Educators International) Commission for Career Services and she is also the current chair of PCPA’s (Pennsylvania College Personnel Association) Professional Development Commission. In addition to experience in career services, Christina also has experience in student conduct, leadership development, student activities, athletic promotion, and academic advising. A growing interest of hers is social media usage and marketing. You can find Christina on Twitter and LinkedIn.